DAFM Synth is a FM Synthesizer serie based on mythical YAMAHA chips used for home consoles, arcades and 80s PCs sound. Sound synthesis through Frequency Modulation (FM) allows to obtain unique sounds that defined a whole musical generation during the 80's and 90's The model Genesis uses the YM2612 (or YM3438) yamaha chip that was used in the SEGA Genesis / Megadrive home console. This synthesizer is the perfect mix for lovers of retro video games, and makers who want to introduce themselves in the musical experimentation. The YM2612 has six channels with four operators per channel. The operators can interact according to eight different algorithms. 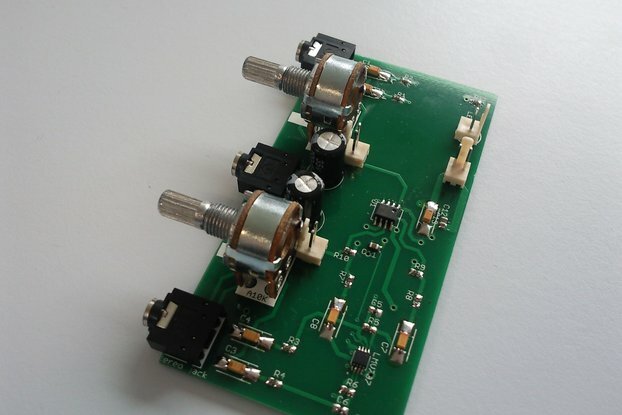 Attack-Decay-Sustain-Release (ADSR) envelopes, frequencies and low frequency oscillators (LFOs) can be modified to obtain the whole range of FM sounds. The YM2612 chip has a peculiar form of crossover distortion in the output, which has become known as the "ladder effect" among fans. The YM3438 is a modified CMOS version of the YM2612 with a louder sound output and no "ladder effect". 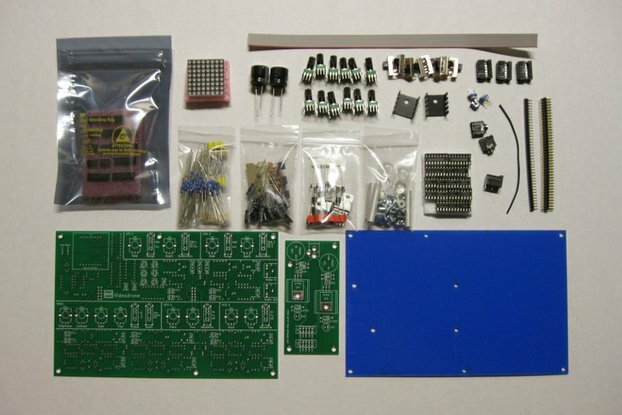 The DAFM Synth can be purchased with the YM2612 or the YM3438 chip. Nostalgic retrogamers would choose the YM2612 chip. The YM3438 would be the first choice for the FM-synthesis lovers. 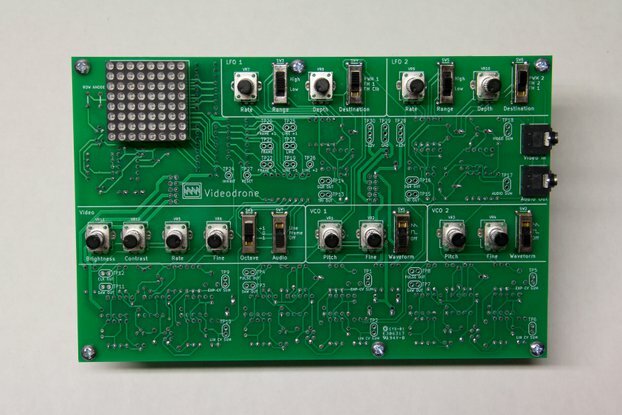 The synthesizer is operated through 2 rotary encoders and has a complete menu that is shown in 4 blue OLED displays. Thanks to the beautiful tactile keyboard of 12 notes you can try the different patches as they are created. There is also the possibility of changing the octave and thus test the full sound spectrum of the Yamaha chip. Once created, the presets can be saved in the RAM memory or in a SD card as DMP files that can be opened with VGM trackers like Deflemask. 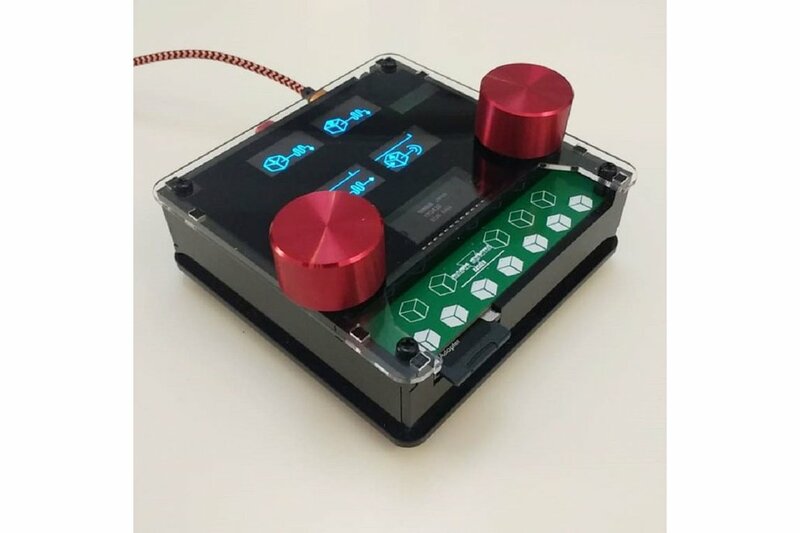 The stereo sound output is 3.5 mm audio jack, has a MIDI input to connect a keyboard, sequencer or any MIDI instrument and can be powered with a micro USB cable (5V). This is a fun and quirky synthesizer, well-constructed and delivered quickly. I love the old Genesis vibes. Thank you! 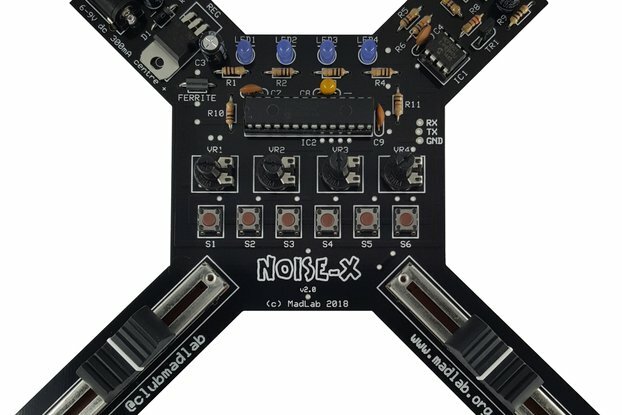 A great, unique synthesizer. Well built and functional. I am really enjoying my first few hours with the DAMF Synth. To be able to make music from the legendary chip that was in the Sega Genesis is a dream come true. The layout and functionality is pretty intuitive and I got used to the scrolling and select system within the first hour of use. Extremely good value for money considering the amount of sounds you can make on the unit. The only drawback is the 3.5 mm plug is situated really close to the top piece of acrylic glass and I am going to have to make more room there (cut the acrylic) as to be able to fit any 3.5mm plug. However that little issue doesn't kill my vibe at all and I am really happy with this unit. Communication with the seller has been great and very helpful with the questions I had. No review on documentation because he says it is being written ATM. Thanks Kasser. Thanks Jeremy for your review and helping me improving this great and unique synthesizer. I have noted down your suggestions and they will be included in the next lots. User quick guide has been created and can be found in the Specs and Docs section. As a longtime LSDJ user and having come up as a child in the Nintendo side of the 8-bit and 16-bit eras--and grown fond of their respective sounds in the process--I only quite lately discovered the peculiarities of the Sega Genesis's own sound capabilities and began tinkering around with Deflemask. So lately, in fact, that it was almost immediately into my search for more hardware oriented approaches to this area of chipmusic production that I discovered the DAFM. This was quite fortuitous also because I had been looking into other FM synths and synth modules but wasn't quite sure I wanted to open such a can of worms when the constraints and character of the Genesis's particular approach to FM synthesis was what originally appealed to me. In any case, I believe the DAFM has settled the matter for me for some time to come. Operating the synth does require some menu-diving, in a sense, but that's part and parcel with any approach to FM outside of a more limited hardware approach or without bringing software into the picture; however, the interface on this is handled with a fair bit of elegance. While I haven't yet gotten the opportunity to fully explore its MIDI options, I've been given to understand that they too are handled rather elegantly, with MIDI channel 1 utilizing the first channel of the chip (of six, given the nature of these particular sound chips) for the first voice in polyphony through the chip's six channels or with the remaining five voices utilized by their respective channels on the chip and through MIDI. This should work quite well for achieving most of the sorts of voices or parts one might need for a given composition or performance or what-have-you without making it overly complicated to achieve at least some amount of polyphony for a single voice without completely sacrificing the availability of other monophonic voices. Suffice to say, I'm looking forward to delving further into this device and see much promise in its capabilities. Apart from the device itself, the creator has proven plenty communicative. Despite DHL having apparently lost my original order, I got a new one sent promptly enough after his having followed up on the matter (after my having brought his attention to the long period of idleness in the delivery tracking). I might have given a lower rating on documentation simply for the near-complete lack of any, but for some scattered demonstration videos; however, the device is so intuitive and its creator so willing to provide support that I'm finding myself so far with little need for further documentation (though I imagine further video demonstrations are forthcoming, at least, for those who might need it). Anyway, a great product and communication, and if you're looking to incorporate the true chip sound of the 16-bit era in your music, this is quite probably the best and simplest way to go about it. Thanks Marshall for your nice and fair review. I am really glad the issue related to the shipment of the unit was solved and you can finally enjoy the FM synthesis through the original SEGA Genesis / Megadrive sound chip. User quick guide is already finished and stored under the Specs and Docs section.